SWHRT9BF H.R.T. 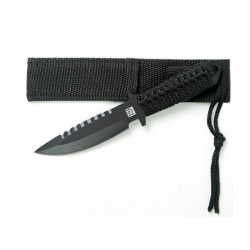 (Hostage Rescue Team) Survival Boot Knive is a medium-sized tactical knife manufactured by Smith & Wesson. 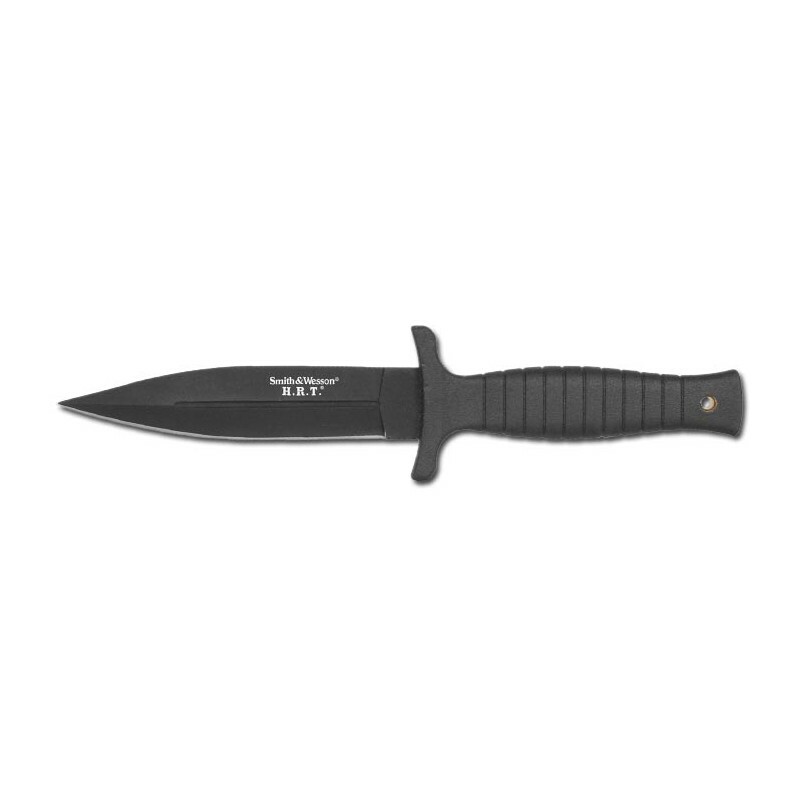 Full tang blade is made of durable coated steel 440C with a protective layer to protect against corrosion and reflections. 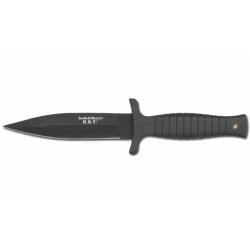 Dagger typ blade has a false top edge. 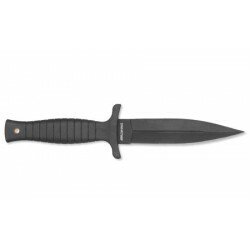 Ergonomically shaped handle is made of non-slip rubber. 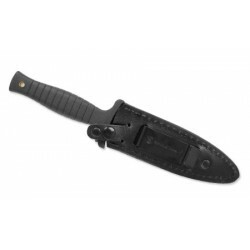 The sheath is made of molded leather. It has a metal clip.